Traveller numbers to Egypt and Jordan are up more than 50% year-on-year, and have more than doubled over the past two years, according to leading small group adventure operator, G Adventures. Additionally, global numbers for Egypt are 7% higher than in 2010, the year before the ‘Arab Spring’ resulted in a complete shutdown of tourism for Egypt and had a profound effect on tourism for neighbouring countries, including Jordan. G Adventures says the strong booking numbers confirm the return of tourists to these Middle Eastern countries, which are rich in history but have struggled with tourism following the string of political events occurring after the 2011 revolution. Mohammed Fayed, G Adventures’ regional operations manager for the Middle East and North Africa, says the return of political stability, particularly in Egypt, has resulted in shift in perception when if comes to safety in the entire region. 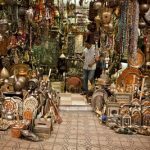 “When Egypt’s political state is stable, people feel safe travelling to this region, and adventure travellers tend to lead the way. Since General Sisi became president in 2014, our security level has improved, which has had a positive effect on travel advisories. Sisi winning the presidential election this year means we can look forward to another four years of stability. “This will have a huge impact on tourism, particularly the kind of tourism G Adventures supports, which keeps traveller’s dollars in the hands of local people through use of local transportation, accommodation and restaurants. Egypt relies heavily on tourism for income, and the past few years have been very tough,” says Fayed. 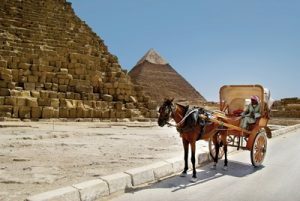 G Adventures employs 10 CEO’s (chief experience officers) to lead its tours in Egypt, and the 10 made a pact back in 2011 to share the tours when tourism dried up. For the past seven years, they divvied up the work between them, depending on who needed it most at that point in time. “Back in 2011 when tourism was at an all-time low, our CEO’s were only working 40-50 days per year. As tourism has slowly returned, we’ve been able to host more groups, add new itineraries, and increase the average working days for our people to 150 days per year, which is three times what is was a few years ago,” added Fayed. The Middle East has become a particular hotspot for Australian and New Zealand travellers. Egypt and Jordan have both been identified in the top fastest growing regions for G Adventures Kiwi and Aussie travellers, with both destination seeing growth of over 50% year-on-year. Adrian Piotto, Managing Director for G Adventures Australia and New Zealand, welcomes the growth. G Adventures offers four standalone trips to Egypt, and three in Jordan. There are also a number of combination options including the two countries available. An eight-day Best of Egypt trip travelling from Cairo return is priced from AUD $1299pp*. Explore the ancient sites along the Nile and discover the most famous of them all, the Great Pyramids of Giza. Embrace the culture and meet remarkable people while sampling traditional fare with a Nubian family in a local village. An eight-day Highlights of Jordan trip travelling from Amman return is priced from AUD $1,429pp. Travellers will overnight in a Bedouin tent and dine in the dramatic desert scenery of Wadi Rum, take in Petra’s fascinating history, and relax in the therapeutic waters of the Dead Sea. A 15-day Egypt and Jordan Adventure is priced from AUD $3099pp, travelling from Cairo to Amman. On this trip our expert local leaders will share the archaeological and historical secrets of the ancient sites of Petra, Luxor, and the Great Pyramids of Giza.